Travel SIM Cards have long been the best solution for tech savvy travelers and business travelers worldwide. With the significant increase in trips made every year, the demand for an efficient service has been bigger – and so are the available roaming SIM Cards. But what sets XXSIM apart? In truth, XXSIM was developed by a business traveler who faced phone bill shock 8 years ago. With that, he developed an innovative SIM card that would later become one of the most innovative ways of borderless communication. 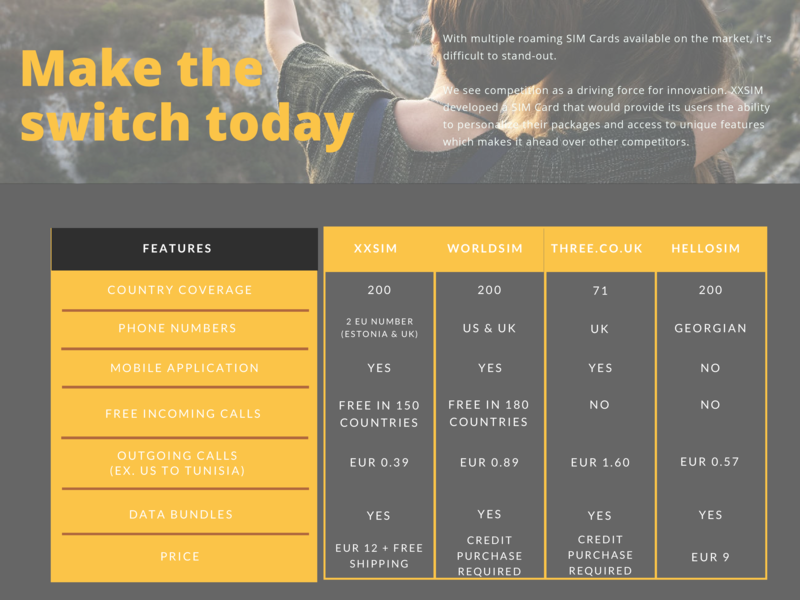 Today, XXSIM boast of 650 partner carriers worldwide with a whopping coverage in 200 countries and territories. At XXSIM, we try to understand our customer’s needs. With that in mind, we have a wide variety of data plans and bundles available. Watch out for new combos we’re planning to launch this month!